Painless needles thanks to the triple bevelling of the tip and the lubrication with medical grade silicone oil. For the safe administration of injectable substances and extraction of body fluids. Colored cones according to ISO 6009 for easy identification. She has also undergone the injection test during the production process. - The needle tube is cut with a computer-shaped tube. This allows for a soft inflow of fluid, and easy aspiration from the drug ampoule. The sterilization method is safe and safe for similar pharmaceuticals. The sterility lasts for 5 years. The needle is delivered mounted and packaged in a folder of high quality blister for complete leakiness and sterility and bearing all the necessary indications as follows. Date of sterilization and expiration. Factory of production (complete data) and country of production. Packaged in individual packaging and placed in small boxes of 100 pieces. 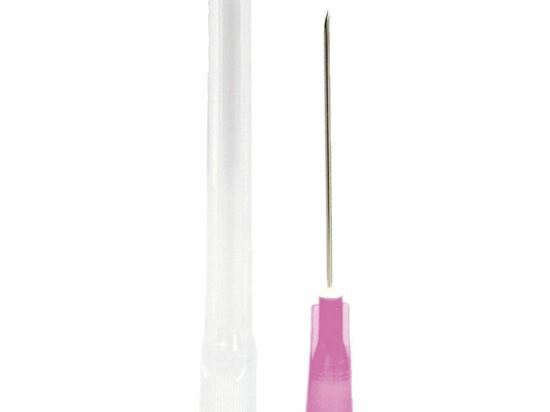 Icoplus needles are painless thanks to triple edge bevel and lubrication with medical grade silicone oil. For the safe administration of injectables and the extraction of body fluids. Color cones according to ISO 6009 for easy identification.